A small startup manufacturer of smart jewelry and accessories that connect to your smartphone. Their guiding principle is that, the more discreet a technology is the more integrated into our lives it will become. The Ringly Launch Collection is a great example of this. The technology is embedded into a series of rings adorn with semiprecious stones, that use color, light, and vibrations of their smartphone notifications. 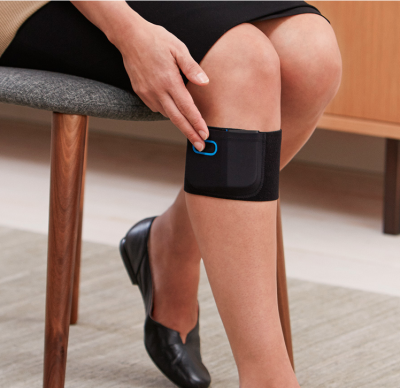 Quell is a wearable therapy band that can be tracked by your smartphone. The device is desecrate and is meant for people suffering from chronic pain and sleep disorders. By pressing the band, electrical signals are send to the brain to trigger the production of pain blocking chemicals. Pvilion, a designer and manufacturer of flexible PV solar structures and products, recently partnered with Tommy Hilfiger to design a line of Solar Powered jackets. The jackets feature removable solar panels that provide energy to power electronic devices – one of many such clothing lines to debut at the New York Fashion Week. The companies expect the jackets to be a great success and are looking to share a portion of their proceeds with the Fresh Air Fund. I don’t know about you, but if I’m going out – especially if I’m in a crowded place – I like to carry as little as possible. bPay makes it possible at any event by setting up their kiosks and distributing NFC wristbands. With a variety of more permanent bands, fabs, and key chains available in the UK, the banking innovator can also integrate the contactless payment tools with their finance management solutions available on mobile. We want to know what devices you like. If you have a favorite wearable you’d like to share, leave it in the comments below.